An Italian federal judge has approved the prosecution of Royal Dutch Shell and Eni in the $1.3 billion controversial sale of the OPL 245 oil block, Premium Times reports. The judge in Milan also said Eni executive, Claudio Descalzi, and his predecessor, Paolo Scaroni, should be tried for their role in the deal. The trial is expected to commence on March 5, Italian media reports said Wednesday. 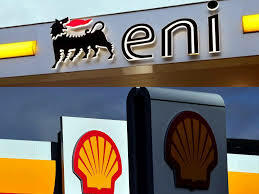 Italian prosecutors had earlier indicted Shell and Eni for their role in the 2011 deal in which Nigeria sold the lucrative oil block to the two oil majors. A former petroleum minister, Dan Etete, and a former Attorney-General, Bello Adoke, are amongst several Nigerians indicted in the deal, which was approved by ex-President Goodluck Jonathan. Shell and Eni’s Nigerian subsidiary, Agip, are among those already being prosecuted in Nigeria.